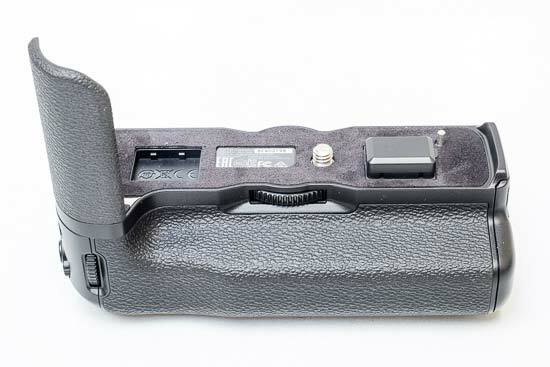 The Fujifilm VPB-XT2 Vertical Power Booster Grip is a dedicated vertical grip for the Fujifilm X-T2 mirrorless camera. 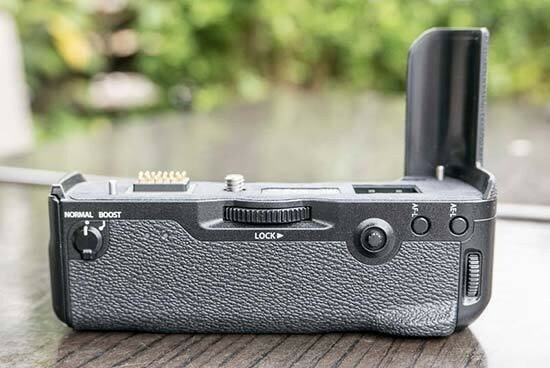 As well as greatly extending the battery life, it replicates several of the X-T2's key controls, improves the camera's performance in a number of different ways, and adds a 3.5mm headphone jack for audio monitoring. 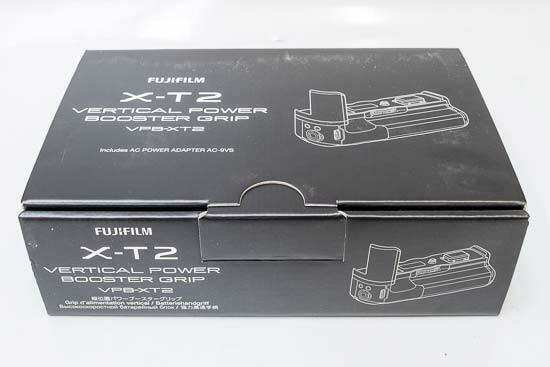 The Fujifilm VPB-XT2 Vertical Power Booster Grip is priced at $329 / £299 in the US and UK respectively. 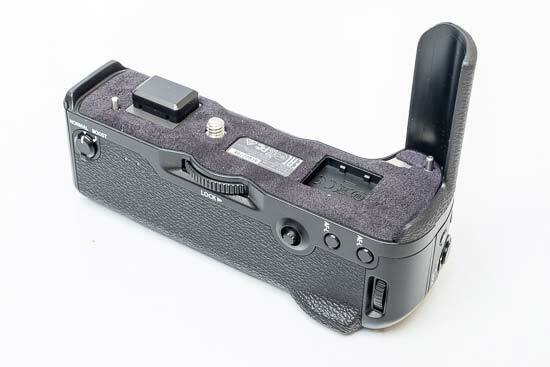 The Fujifilm VPB-XT2 Vertical Power Booster Grip enables vertical shooting with all the camera's key controls at hand, including a shutter release button, Fn button, Q button, thumb-operated focus lever, front and rear command dials, AE-L and AF-L buttons. They're all very well located, falling easily to hand. Note that you can't customise the functionality of any of these buttons. 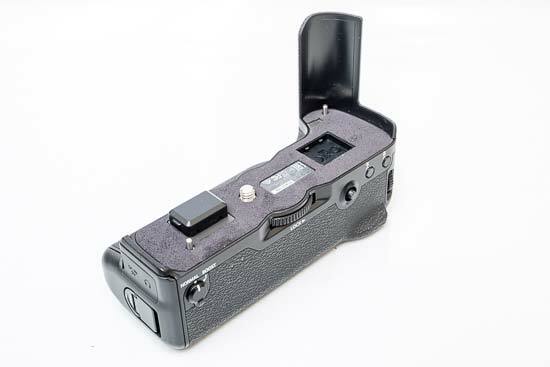 The shutter release button also has a lock switch, which effectively prevents it from accidentally firing the shutter while you're using the camera in a horizontal orientation, useful if you have large hands as your palm naturally rests on the grip's shutter button. 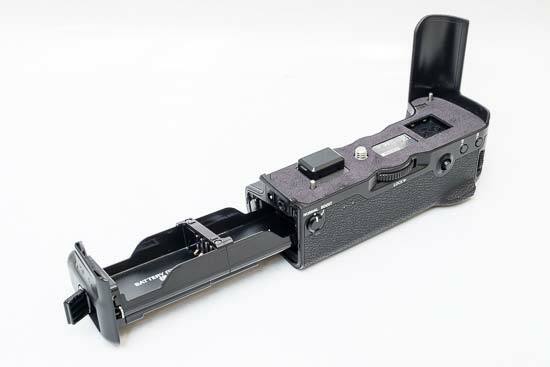 The grip features a tripod mounting socket in line with the camera's optical axis, and is fully resistant to dust and water and designed to operate at temperatures as low as 14°F, just like the X-T2 body. 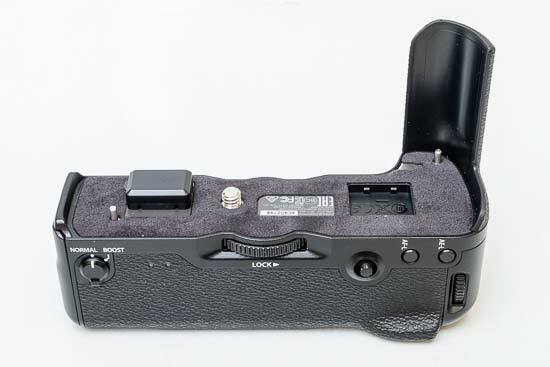 The grip also adds a 3.5mm headphone jack for audio monitoring, something that the X-T2 body doesn't feature, and there's a large metal eyelet on the bottom for attaching a strap. 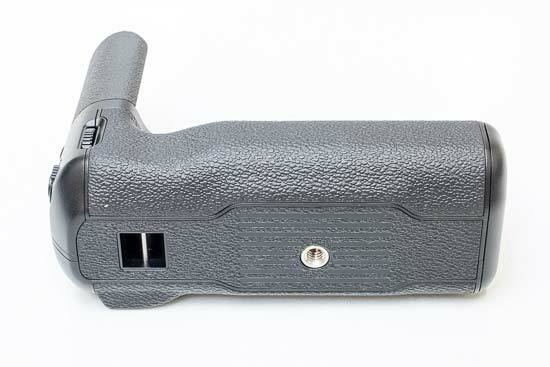 The grip can be set to Normal or Boost mode via a dedicated switch. 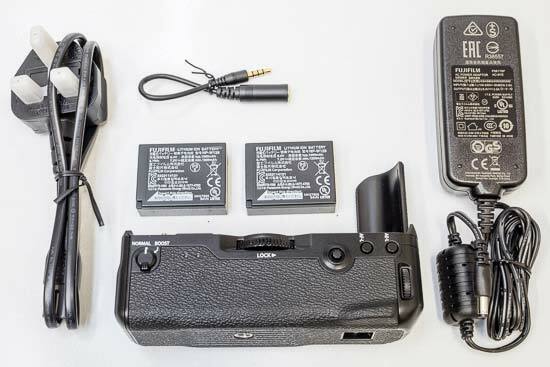 The Boost mode increases the speed of the X-T2 in a whole host of different ways, with the camera using the multiple batteries simultaneously to improve its performance. The burst shooting speed increases from 8fps to 11fps, the EVF refresh rate increases from 60fps to 100fps, the shooting interval decreases from 190msec to 170msec, the release lag drops from 50msec to 45msec, the blackout time drops from 130msec to 114msec, and the maximum possible recording time for 4K video increases from 10 minutes to 29 minutes 59 seconds. 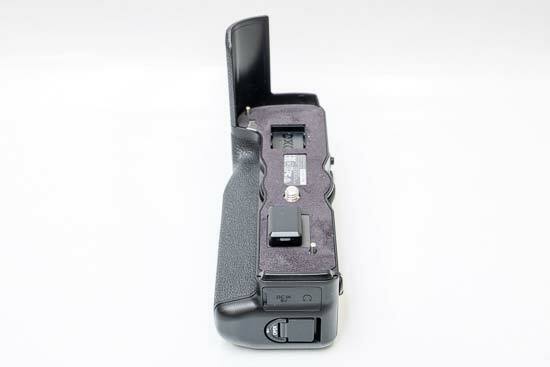 We'd recommend always setting the grip to Boost mode if you use all three batteries (two in the grip, one in the camera). 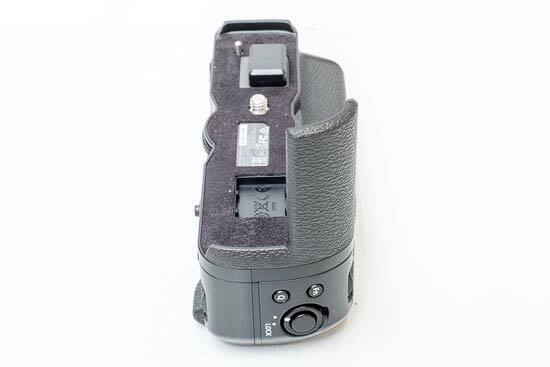 The VPB-XT2 Vertical Power Booster Grip can fit two extra batteries via a removeable sled - note that the batteries are not supplied in the box. 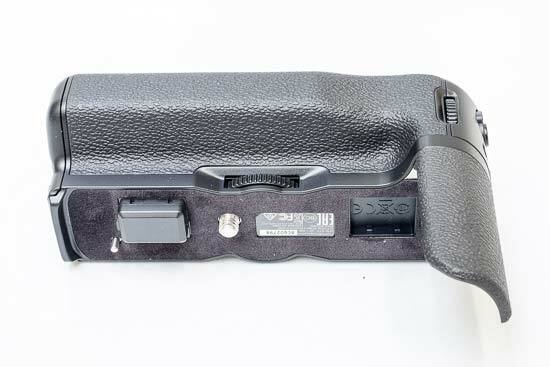 Fitting the grip and the two batteries to the XT-2 increases the maximum number of shots per charge to approximately 1,000, an increase of 660 shots on the camera's normal battery life when the grip isn't fitted. 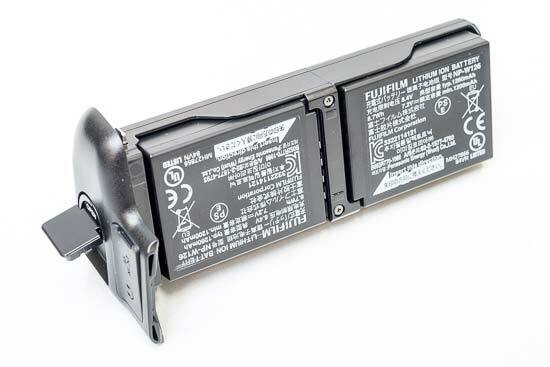 An AC-9VS AC Adapter is also supplied with the grip, so you can charge the two batteries inside the grip independently of the one inside the camera via the DC In port, which only takes two hours (note that you'll have to charge that one separately). 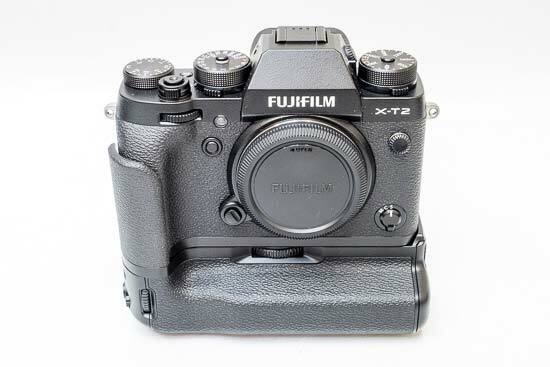 Build quality is excellent, closely matching the X-T2 in terms of finish and materials. 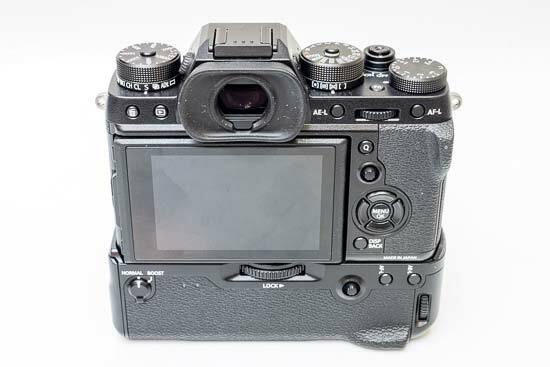 Our only dislike is the rubber cover for the DC In and headphone sockets - many users experienced issues with the rubber covers on the X-T1, which prompted Fujifilm to move to plastic doors for the X-T2, which unfortunately hasn't also been implemented for the DC In / Headphone port.